NEWTON, Mass. (August 14, 2013) – PSMJ Resources, Inc., the leading authority, publisher, and consultant on the effective management of architecture, engineering, and construction firms, announced today an expanded partnership designed to give architecture, engineering, and construction (A/E/C) firm leaders the tools that they need to become more client-centric. The Client Satisfaction Analysis (CSA) product, created by Client Feedback Tool and developed in response to client feedback, surveys clients of architecture, engineering, and construction firms to measure critical factors, such as responsiveness, quality, and the clients’ overall satisfaction with the firms’ services. In a recent study of 1,121 client relationships by Client Feedback Tool where the client ranked the vendor as not having met expectations, more than 83% of those same vendors marked the vendors as having met expectations after the second survey—demonstrating the vendors’ abilities to make vital changes before losing their clients. Deltek—the leading global provider of enterprise software and information solutions for professional services firms and government contractors—is working closely with Client Feedback Tool to enable Deltek Vision customers to integrate client feedback into the project management process. Deltek Vision clients represent 77% of the 2012 PSMJ Circle of Excellence members. This client survey is the second in PSMJ’s tool belt, along with its Client Satisfaction Snapshot (CSS), also developed with Client Feedback Tool, with which PSMJ has had a partnership for the past four years. 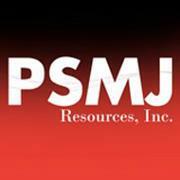 For more information about the CSA and PSMJ’s partnership with Client Feedback Tool, visit www.psmj.com. Founded as DesignFacilitator in 2004, Client Feedback Tool continues to expand its client base and has changed its name to reflect its growth from the A/E industry to serving a variety of different professional services clients. The Client Feedback Tool orchestrates the collection of client and project specific feedback, translates the data into a strategy, tracks action items, and creates a feedback loop to enable ‘our’ clients better serve ‘their’ clients. Our easy-to-use web-based program gives professional service firms the data they need to strengthen relationships and increase client loyalty. POSTED JULY 30TH, 2013 BY SHAFAT QAZI & FILED UNDER INDUSTRY INSIGHTS. The future is all about delivering services to your clients much faster than competitors can, Frank A. Stasiowski, FAIA, explains in his book Impact 2020–Predictions for the Next 10 Years of the Design Industry. Delivering what your clients need fast is a value-added proposition that allows you to charge premium fees that clients are more than willing to pay in order to meet their pressing deadlines. Stasiowski recommends abandoning the old business model of just selling hours in favor of basing your service prices on the unique value you alone can offer them—be it knowledge, technology, talent or quality. Some time back I talked about the concept of value billing and how it can lead to a win-win situation for both you and your clients. Yes, you can charge higher fees and still win more clients, as long as you’re able to demonstrate your niche and value to them. Remember, if you deliver the promised value, your clients will return for your services again and again. Having said that, I see most professional services firms focusing on the hourly rates, role-based rates or deliverable-based fixed fee when billing their clients instead of heading toward this value-based model. I always wonder why they’re willing to work for less money. A value-based fee is more about highlighting your expertise and unique value, and getting paid commensurate with that. If you start looking at everything as a value proposition, you’ll be surprised how favorable the outcome is. Value-based billing is applicable to all service-based industries. But mind you, it can’t be implemented in all situations blindly but rather for those projects which fall within your ‘sweet spot’. For example, the sweet spot for a local architecture firm could be single family homes in Southern California. Most of the firm’s projects are local and hence a tremendous value to the client – being local, within driving distance, knowing the building officials, having knowledge about the locally available materials, and much more. On the other hand, doing a commercial shopping center in Nevada may not fall in their sweet spot. So it all boils down to the actual value you can quantify while highlighting your niche! Market-based fees usually end up creating a profit of about 7-18% in most professional services firms today in USA. The average US firm makes about 12%. The assumption is that you are making 8-10% profit but the chances are that in some projects you may actually be losing money. With value billing, you take your base price (hourly or fixed fee based on market value) and add the extra value you bring to the project. Say you get a housing plan approved faster for a client. After quantifying the savings to the client, add a percentage of that to your fee. Paying $10,000 more for a service that saves the client $200,000 is a no-brainer! Value billing does result in a higher fee than conventional billing because you are adding your value on top of it. But your client will be more than happy to pay you a higher fee if you can clearly demonstrate your value, which in this case is getting a plan approved faster (therefore minimizing the debt service fee for your client) and being able to select locally available materials (hence reducing the overall construction cost). Bottom line: If you are efficient, let the beneficiary be you. Value billing is going to be significantly much more profitable for you, and often result in winning more clients. So while other firms focus on listing their services and talking about their experience, you can focus on the quantifiable value you will bring to the clients. About the Author: Shafat Qazi, Founder and CEO of BQE Software, is an engineer-turned-entrepreneur who created the most-awarded time billing software ever, BillQuick, while still in college. He set out to make time tracking, billing and project management easier for engineers as well as all service professionals and continues to perfect BQE Software products hands-on today.